Rancho Santa Fe, affectionately referred to as ″The Ranch″, is one of the most exclusive and affluent communities in the United States. 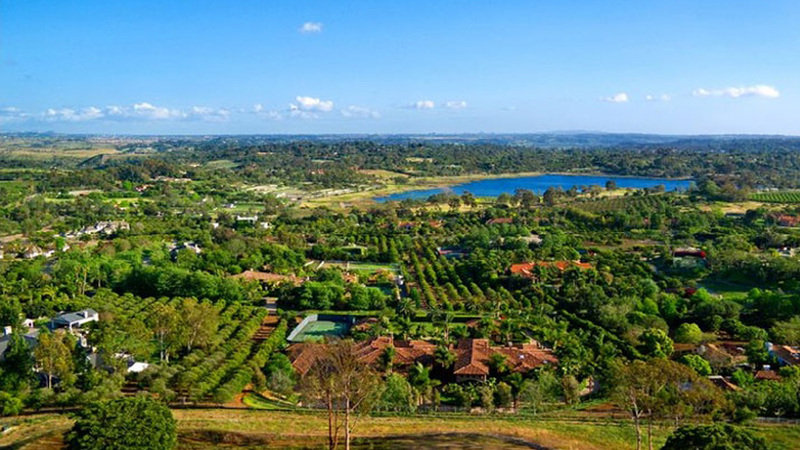 The Community of Rancho Santa Fe is located four miles inland from the Pacific Ocean in northern San Diego County. With it’s winding rural roadways, rolling eucalyptus-covered hills, equestrian trails, green pastures and citrus groves, the feeling throughout The Ranch is one of peaceful country living. This elegant community has been highly successful in preserving much of it’s original rural ambiance and historic architectural character. The Village of Rancho Santa Fe is well known for it’s superb restaurants and unique shops, and is the centerpiece of this charming and quaint town.